I urge you to keep your eyes and ears peeled for Percy Dread's debut solo CD, Upside Downside, which is scheduled for release anytime soon. 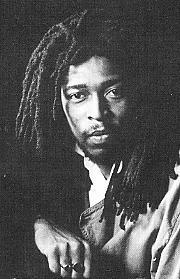 Percy Dread was the lead singer and songwriter with one of Britain's best-loved reggae combo's, The Natural-Ites, back in the Eighties, and this CD marks a polished return to the reggae fold for this Nottingham-based artist. I've been fortunate to hear a pre-release copy and its an excellent collection of old and new tunes, with Percy Dread's soulful voice dominant throughout. Produced by his former Realistics compatriot Lenroy Guiste, Percy Dread has continued to write and diversify himself into different musical styles such as hip-hop though as a rastafarian, reggae remains at his core and the new CD never strays far from his beliefs. To listen to samples from the new CD, go to Percy Dread's website at www.percydread.co.uk. During 2005, he made a series of personal appearances in and around the Midlands and North West, working with the Sama and Highness Sound Systems before a headlining appearance at the Nottingham Live Music Festival on 20 August. On stage for an hour, Percy Dread performed seven tracks from his new CD, backed by a five-piece band including Dub Judah on bass, and a trio of backing vocalists. With just a couple of rehearsal sessions under their belt, they kicked off with Pollution, and kept it tight to deliver the rest of the set-list; Babylon Rules, Black Roses, Guide Me, Upside Downside, Love Jah and Dungeon. An appreciative crowd, bathed in sunlight at the Nottingham Arboretum, were treated to a fine showcase performance which promises an exciting future for Percy Dread and his forthcoming CD release. Percy Dread Live His next step is a foray into the massively popular reggae scene in Europe in September - watch this space. Pollution (3:55) - Upside Downside (5:20) - Black Roses (4:20) - Babylon Rules (3:45) - Dungeon (3:15) - Foggy Road (3:30) - Guide Me (5:35) - Love Jah (4:19) - Jah Works Mamma (3:33) - Many Will Be Called (3:38) - Conquer (3:42) - So Jah Say (3:25) - Black Star Liner (2:56) - Can't Look Back (3:55) . Released 2005. Producer: Lenroy Guiste. Proposed release date - tbc. The Natural-Ites started life in Nottingham, England in late 1982 and their music became known across the length and breadth of the reggae fraternity for its warmth and freshness throughout the Eighties. With the release of their first album in 1985, they quickly became well-respected throughout Britain and beyond and went onto release two more albums and a handful of classic singles before finally calling it a day in 1990. Whilst reggae fans mourned the passing of the band, singer-songwriter Ossie Gad continued to perform the band's classic numbers alongside his own material and reformed the Natural-Ites in 2001 alongwith his partner Percy McLeod with plans to record and tour. 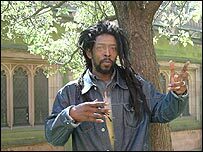 There were positive vibes that a new album, recorded with Dub Judah, was due out the following year but it never materialised. Instead Percy Dread McLeod has been in the studio and is planning to release his first solo album soon. 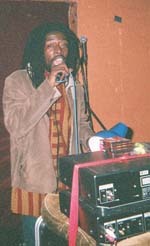 The band's first break occurred when they appeared on the television show Rockers Roadshow, hosted by Jamaican DJ Mikey Dread, which showcased Nottingham's finest talent. Their debut single, Picture On The Wall, penned by Ossie Samms (now known as Ossie Gad) was first released in 1983 on their own Realistics label, climbing to the top of the reggae charts and went onto become a roots anthem for years to come. Airplay on BBC Radio 1 in particular, widened the band's appeal and fan-base, combined with live sessions for top radio DJ's John Peel and Janice Long. Further television appearances including Channel 4's The Tube, alongwith constant gigging around the country, helped the single to enter the mainstream British singles chart, no mean feat for an independent reggae outfit. The band's first album, also titled Picture On The Wall, was released to great critical acclaim in 1985. Lead vocals were shared between Ossie Samms, Percy 'JP' McLeod (who had previously played rhythm guitar and sang vocals for London band Blazing Sons) and Neil Foster, with an array of musicians, known as The Realistics, providing the rhythm and horn sections on the album. The Picture album, released on the CSA label and produced by Johnny White, proved to be a major springboard for the group. Samms, McLeod (who also played rhythm guitar) and Foster shared the song-writing and lead vocal duties and were backed by band regulars Lenroy Guiste (bass), Paul Prince (lead guitar), Marcus Hodges and Winnie Williams (keyboards), Alton Rickets and Chester Marzink (drums), Albert 'Eitiko' Barnes (trumpet) and Hugh Duffus (sax), amongst others. Recording took place in London and Nottingham, their home town, with mixing at the Aquarius Studios in Jamaica. The band's second single, Lion Inna Jungle, quickly followed their initial successful release and like Picture, became a roots classic amongst reggae followers worldwide. Within a year, a third single, Lately, was making an even bigger impact and remained at the number one spot in the UK Reggae charts for six weeks, forming the backbone of their second album, Marvellous, released in 1987. By this time, Neil Foster had departed leaving Samms and McLeod as the main pairing, alongwith the same Realistics core of Guiste, Prince, Hodges, Williams, Barnes and Duffus with Dennis Cole now on drums and Wil Fearon (percussion). 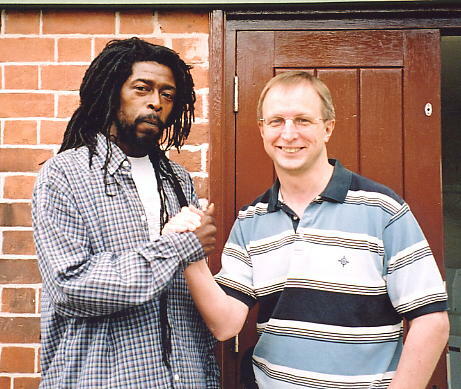 The Marcus Garvey Studio in Nottingham was home to the recording, again under the control of producer Johnny White, with the album released on the Realistics Record label. Another single, Cry For You was released, followed up by a Temptations cover version, I Wish It Would Rain and Happen All Over Again. The band's third and final album, Naturalites in Ites, was released in 1989. However, it failed to make the same impact as their previous releases and marked the beginning of the end for Nottingham's finest.McLeod and Samms continued to share the writing and singing duties with familiar back-up from Guiste, Prince, Barnes, Duffus and Fearon, joined by Chris Whitely, Winston Squires and the return of Chester Marzink. 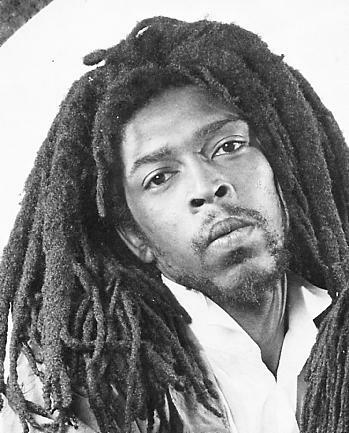 Within a year the band's members had gone their separate ways and the British and worldwide reggae fraternity had lost one of its finest exponents. 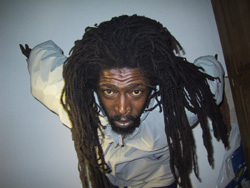 With his partnership with McLeod in hibernation, Ossie Gad decided on a solo career which took him around the globe, performing alongside some great names including Aswad, Burning Spear, Mighty Diamonds, Dennis Brown, Max Romeo, The Abbysinians and Israel Vibrations to name just a few and has released his own albums in the UK, New Zealand, Switzerland and Hawaii. Eager to return to their roots, Gad and McLeod briefly reformed the band in 2001. Gad said at the time, "people worldwide know the Natural-Ites name and songs, and having developed as a solo artist, it's time to work with other singers again to recapture the kind of unique sound we found with the original group." The Natural-Ites returned to Britain fresh from an appearance at the Montreux Jazz Festival in July of that year and from a trip to Hawaii to promote their new release 'Year to Year.' Following a successful appearance at the Nottingham Carnival, they also appeared in Birmingham in September 2001. Joining Ossie and McLeod on stage were Marcus Hodges on keyboards and Dub Judah on bass. A festival appearance in Paris followed and there was talk at the time of releasing an album with updated versions of the band's most memorable tunes, however, it never materialised. In the last year, Ossie has toured and recorded with the Manchester-based band Nucleus Roots and Misty In Roots, while Percy Dread has returned to live work and is awaiting the release of his first solo CD, Upside Downside.